Technicians connect housings to the main generator. 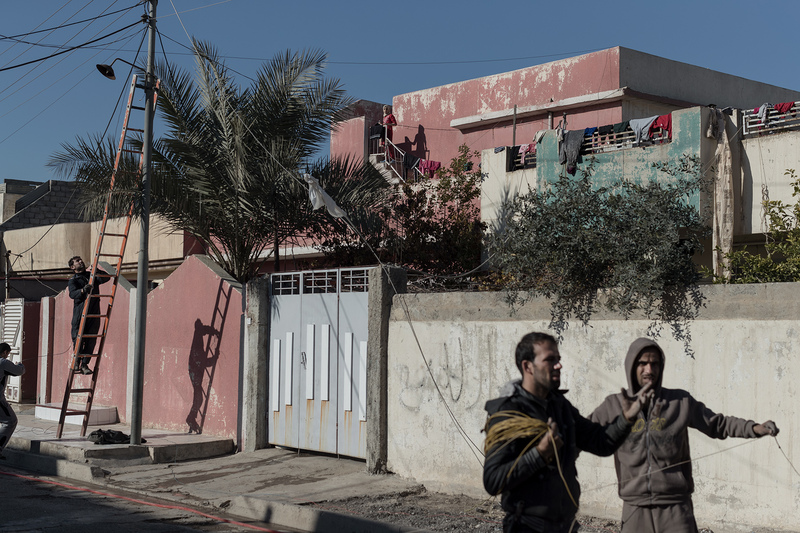 Mosul, Iraq on Jan. 6, 2017. In Al-Quds neighborhood just liberated, life can begin again.